Tachibana Shikitei was established in 1868. It has a long history of more than 140 years. The source of hot spring we use is Source No. 1, which is the oldest spring source in Yamashiro Onsen area. This ryokan particularly has a long history among other places in Yamashiro Onsen, which was established 1300 years ago. 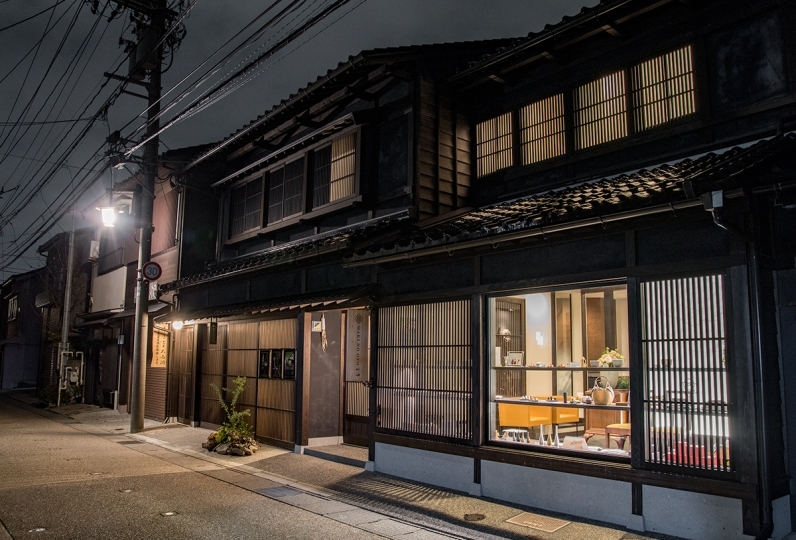 It was loved by the likes of Rosanjin and Akiko Yosano,and this ryokan has a particularly long history. Our philosophy is "Innovate constantly, leaning from the past." The recent renovation of the building was done in 1990. 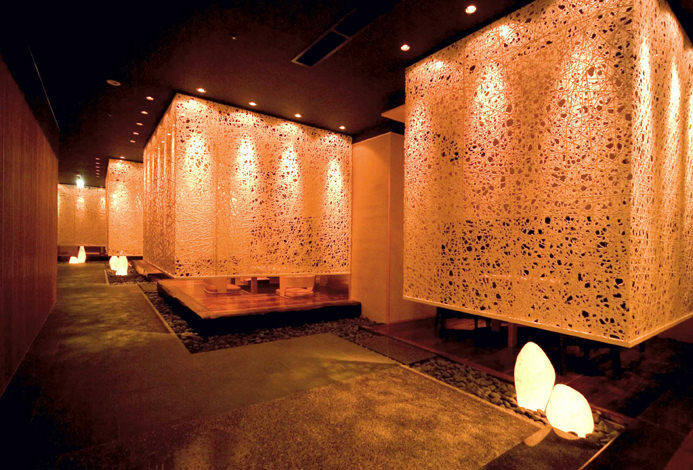 This ryokan was reborn as “an all paulownia wood” ryokan which is unusual for hotels. Paulownia wood is used all across the building from the public spaces to the guest rooms and bathrooms. You might become addicted to its smooth feeling on your bare feet. 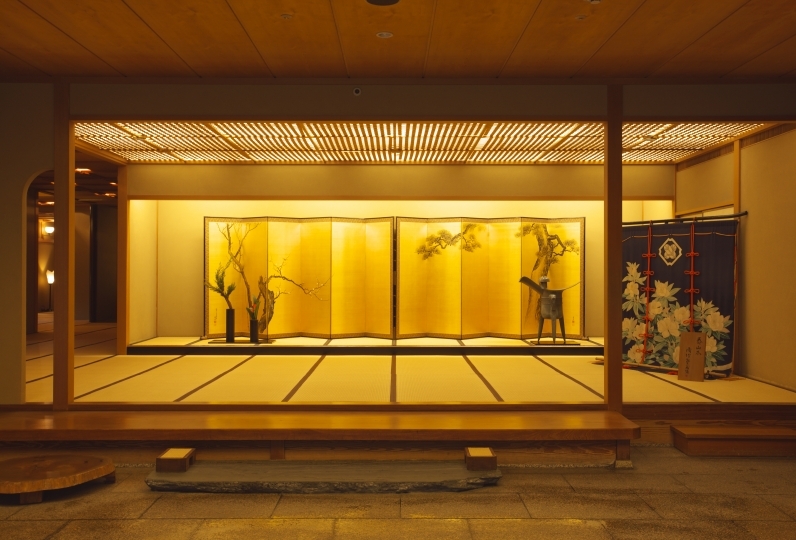 To celebrate the new Imperial Era beginning May of 2019 we are debuting a new room, the "Tochigi Iro" room. You will be able to enjoy our renovations and concept rooms inspired by traditional Kutani colors. We serve Kaiseki (traditional Japanese course meals) with locally-sourced, fresh, and seasonal ingredients. The menu of Kaiseki changes every month, so you can fully feel the seasons from the cuisine. We cherish the history and traditions while adopting new ideas. Why don't you come and experience the comfort we offer with someone special? You were very helpful the other day. He took care of his allergies and was able to change various dishes. All were safe and delicious. Thank you very much. The facilities were very well equipped and it was easy to spend. It was a very kind of customer service, so it was fun to talk, and I wanted to visit again. In that case, thank you again. It was a really good memory. Thank you very much! 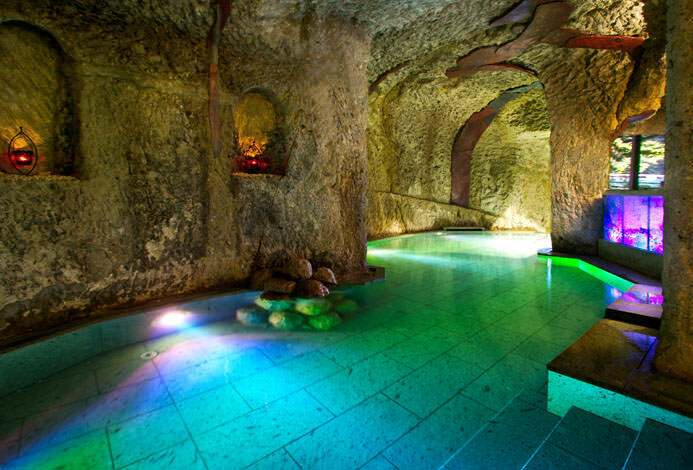 Both the open-air with a view of the garden and indoor bath have free-flowing natural hot spring. Enjoy the Source No. 1, which is the oldest spring source in Yamashiro Onsen area. Hot spring in Yamashiro is known for the quality of its spring and is also called as "the spring of beauty". It was awarded the Gold medal in the Expo of Hot Spring in Germany in 1910s - it is indeed a hot spring renowned in the world. We offer Ayurveda, the traditional natural healing system originated in India with 5,000 years of history. It enhances the natural healing power of the body and helps maintaining the health and the youth. We help you reduce your stress and regain your healthy and beautiful self. Example: Indian oil treatment (Full body) 60mins / ¥12,000. Please contact for the detail. You can also book a session on the day. We will renovate the public bath and the 4th floor room. · Below are the rooms on the 3rd floor floor. "Ancient purple Japanese style room - Hinoki with open air Ancient purple - Shin Hinoki Japanese style Japanese style room (dining type)"
· On the 4th floor during the construction period floor rooms are closed. 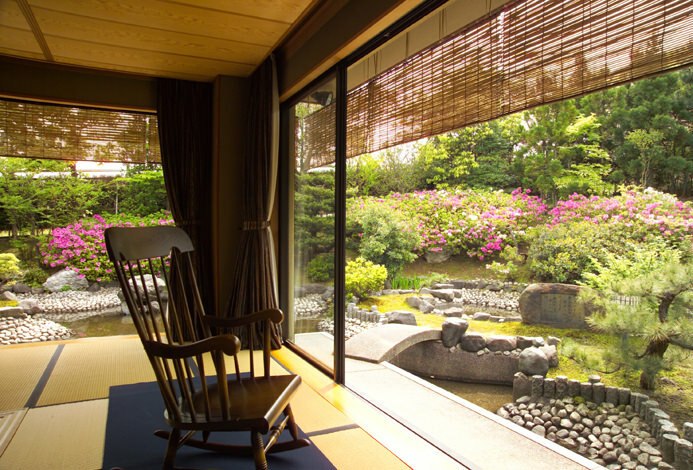 "Premium Japanese-style room × 1R, pure Japanese-style room × 3R, room with Hinokiki outdoor × 1R"
· In connection with the construction during the period, the landscape from the guest room may be impaired. Also, work sound etc will occur. We apologize for any inconvenience but we appreciate your understanding and cooperation. ・This plan does not include bathing tax (¥150). It is approximately 10 minutes by car from Kaga Onsen Station. We will be able to pick you up at Kaga Onsen Station if you inform us of your arrival time. 16, Banshoen-dori, Yanashiro-onsen, Kaga city, Ishikawa Pref.